Many credit card holders do everything responsibly in regards to credit card usage: they pay their bills on time, they make sure to keep low balances and they never use the card to splurge on unnecessary expenditures. Unfortunately, many of these card holders – because of their otherwise good habits – do not consistently check their credit balances or give much thought to it but once per month. 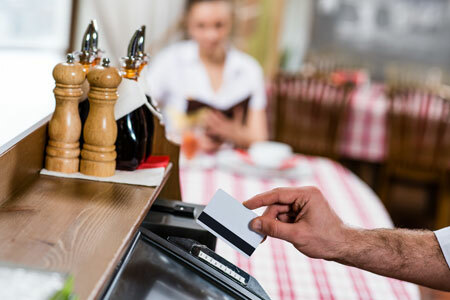 Because of this, many card holders will miss unauthorized charges until weeks or even months have passed, which can make the dispute of such charges more difficult. If this has happened to you, then continue reading to find out how you can successfully dispute an authorized charge. While it is a smart move to alert the credit card company to any unauthorized charges as soon as possible, a speedier resolution may be achievable if you work with the merchant from where the unauthorized charge originated. Particularly true if the merchant is a larger entity, there is usually a customer service team that handles these particular inquiries and are often very proactive at erring on the side of caution (as in, favoring you). There are often time restrictions for these types of complaints, though, so it is vital that you contact the merchant as soon as any authorized charges are noticed. In some cases, a merchant will not back down on the initial request and further action will be necessary. The best next step is to write a brief letter that outlines all the details that relate to this unauthorized charge and send it to the company via certified mail. It is also a great idea to make several copies of this letter – one for your records and another one to share with the credit card company to prove that you have attempted to resolve the dispute externally. Current federal laws also state that you must alert the credit card company to these unauthorized charges via writing within 60 days of the transaction. Regardless of the effects that the unauthorized charges may have on your account balance, it is vital that you continue to make monthly payments on-time. Once an authorized charge is settled in your favor, any and all interest charges will subsequently be deducted from your balance. As a responsible credit card holder, there is no need to sabotage your good credit because of an unauthorized charge: a principled stand against an initially hesitant merchant or card company will only hurt you. Those who notice fraudulent or unauthorized charges must act quickly and communicate with both the merchant and the credit card company in order to obtain a favorable outcome. If you alert the merchant through phone and in writing, make your appeals and keep your credit cards current, then a resolution in your favor will ultimately be reached.